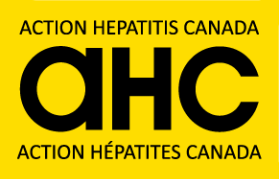 Many countries — including Canada — have committed to a global goal of eliminating hepatitis C by 2030. But new data released at the summit in Brazil shows that only nine countries are on track to meet that objective — and Canada is not among them. Dr. Jordan Feld, a hepatologist at the Toronto Centre for Liver Disease at the University Health Network, said hepatitis C is “a huge public health problem right here in Canada” and it’s “disappointing” to hear that the virus may not be eliminated in the next 13 years — a goal he believes is achievable. For Feld, the larger barrier to curing the estimated 250,000 people infected with the virus in this country is the absence of a “targeted, well-structured national plan” to actually reach those patients. “Unfortunately, hepatitis C is highly overrepresented in marginalized populations and some of these people just don’t have as strong a political voice,” Feld said. But no matter what their background, Feld advocates broadening screening in Canada to everyone born between 1945 and 1975 — a practice recommended by the Canadian Liver Foundation but rejected by the Canadian Task Force on Preventive Health Care.